Tumors aren’t mere blobs of cancer cells. They are complex structures. Besides cancer cells, they contain immune cells, fibroblasts, and cells that constitute supporting blood vessels. 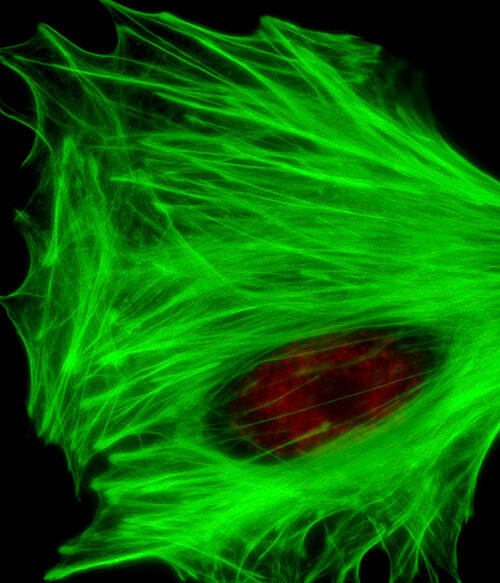 These noncancerous cells, it is known, play an important role in cancer biology. What is not known, however, is how these cells influence genomic analyses of tumor tissue. The problem comes down to tumor purity, the proportion of cancer cells in the admixture that is the tumor microenvironment. Elements of the admixture interact with each other as the tumor grows. As a whole, the admixture is thought to have an important role in tumor growth, disease progression, and drug resistance. To assess potential confounding effects of variable tumor composition, researchers based at the University of California, San Francisco (UCSF) undertook a systemic analysis of tumor purity across multiple cancer types. This analysis considered how tumor purity could bias predictions of checkpoint inhibitor performance. The most important result of the analysis was that predictions were accurate only when the extent of infiltration of immune cells into the tumor was explicitly quantified. When this aspect of tumor purity was not accounted for, estimates of the likely success of immunotherapy were either too high or too low.